Original Illustration © 2014 Suzanne Davis Harden All Rights Reserved. © S.D. Harden All Rights Reserved. But He is in control. Who holds me in His eye. For Him my soul is saved. Of His grace to be preserved. That spring will surely come. The spring He soon will send. For You are in control. Those who will but believe. O Savior of my soul. 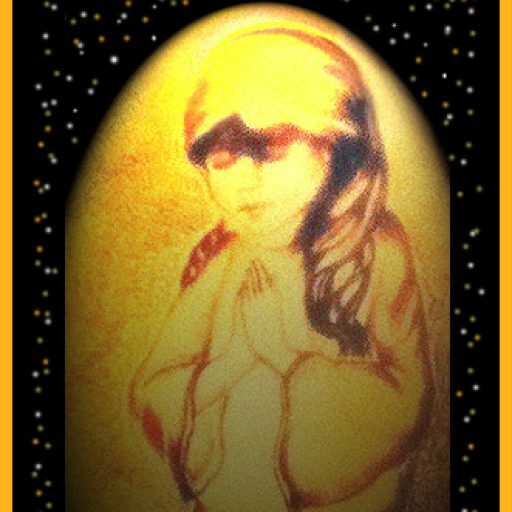 Little Praying Girl © S.D. Harden All Rights Reserved. Heavenly Father, thank You for the assurance that You are always in control of all things. Thy word says in Psalm 103:19, “The Lord has prepared His throne in the heavens; and His kingdom rules over all,” and in Hebrews 1:3 that You “uphold all things by the word of Your power.”Romans 8:8 assures me that every detail of my life is being orchestrated by You into something grand and beautiful and for my ultimate good because You care very much about each one of us. Psalm 138:8 promises that You will “fulfill Your plans for my life.” So I don’t need to worry about whether or not I am going to accomplish Your will for me. You will get me on the path I need to be on. And all I need to do is Trust You. Lord, though this is often so hard to do, please help each of us to trust You when we cannot see past the bend in the road, when we cannot fathom Your purposes for us on the path You have chosen for us. Help us to trust You when nothing makes sense. Help us to keep our eyes on You anyway; to know that You are in control and that You cherish each of us beyond what we can imagine. 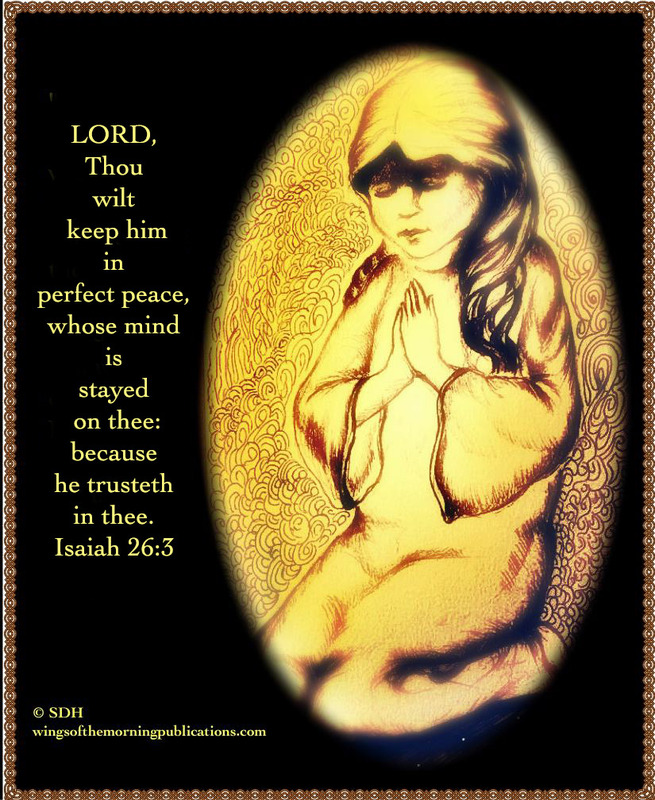 May the sense of Your abiding presence sustain every person praying this prayer. May they feel You with them as they never have before. May You renew their faith, fill them with new hope, and give them joy. Thank You, dear Lord, I love You, In Jesus’ name. Amen. *If you would like to listen to the Instrumental Music for my Prayer Song “Savior of My Soul” please follow the link to my Music Website where you will find the song at the top of the playlist in the music player at the bottom of the page. 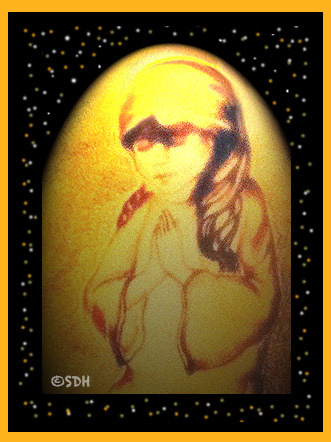 “Savior of My Soul” ~A Prayer Song © 2011 Suzanne Davis Harden All Rights Reserved. All Illustrations © 2014 Suzanne Davis Harden All Rights Reserved. Angel Song © 2014 Suzanne Davis Harden All Rights Reserved. Simply beautiful. You have said it all … thank you Lord for loving us so and guiding us in the way we should and must go.